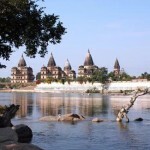 Orchha’s grandeur has been captured in stone, frozen in time, a rich legacy to the ages. 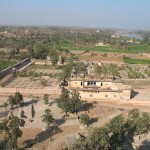 In this medieval city, the hand of time has rested lightly and the palaces and temples built by its Bundela rulers in the 16th and 17th centuries retain much of their pristine perfection. 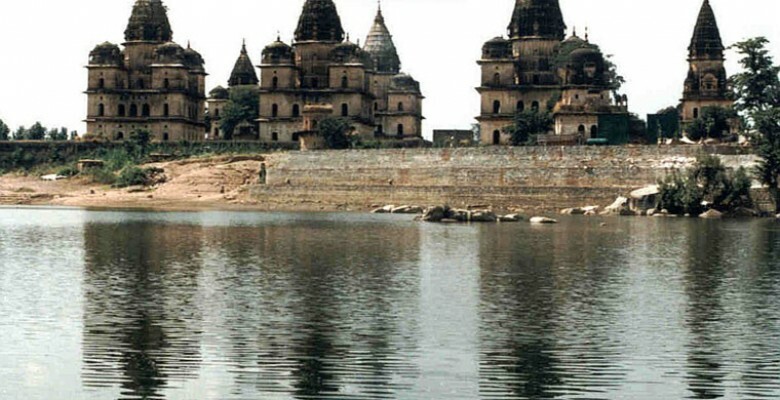 Orchha was founded in the 16th century by the Bundela Rajputs chieftain, Rudra Pratap, who chose this stretch of land along the Betwa River as an ideal site for his capital. From here the view of soaring temple spires and cenotaphs is spectacular. Complementing the noble proportions of their exteriors are interiors that represent the finest flowering of the Bundela School of painting. 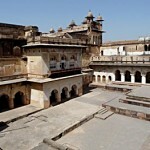 Orchha’s fort complex, approached by a multi-arched bridge, has three palaces set in an open quadrangle. 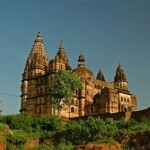 Location: Orchha is a town in Tikamgarh district of Madhya Pradesh. Air: Nearest airport is Gwalior that is 120 km. Rail: Nearest railway stations is Jhansi that is 19 km. Road: Orchha is situated nearby to NH 25 & 26. regular bus services connect Orchha with Jhansi, Khajuraho 178 km, Gwalior 120 km, Ujjain, Indore and Bhopal. Jahangir Mahal: Built by Raja Bir Singh Ju Deo in the 17th century to commemorate the visit of Emperor Jehangir to Orchha. Its strong lines are counterbalanced by delicate chhatris and trelliswork, the whole conveying an effect of extraordinary richness. Raj Mahal: Situated to the right of the quadrangle, this palace was built in the 17th century by Madhukar Shah, the deeply religious predecessor of Bir Singh Ju Deo. The plain exteriors, crowned by chhatris, give way to interiors with exquisite murals, boldly colourful on a variety of religious themes. Rai Praveen Mahal: Poets and musician, Rai Praveen was the beautiful paramour of Raja Indramani and was sent to Delhi on the orders of the Emperor Akbar, who was captivated by her. She so impressed the Great Mughal with the; purity of her love for Indramani that he sent her back to Rochha. The palace built for her is a low, two-storeyed brick structure designed to match the height of the trees in the surrounding, beautifully landscaped gardens of Anand Mahal, with its octagonal flower beds and elaborate water supply system. Skillfully carved niches allow light into the Mahal that has a main hall and smaller chambers. Chaturbhuj Temple: Built upon a massive stone platform and reached by a steep flight of steps, the temple was specially constructed to enshrine the image of Rama that remained in the Ram Raja Temple. Lotus emblems and other symbols or religious significance provide sanctum is chastely plain with high, vaulted walls emphasizing its deep sanctity. Laxminarayan Temple: A flagstone path links this temple with the Ram Raja Temple.The style is an interesting synthesis of fort and temple moulds. The interiors contain the most exquisite of Orchha’s wall paintings. Covering the walls and ceiling of three halls, these murals is vibrant compositions and covers a variety of spiritual and secular subjects. They are in excellent state of preservation, with the colours retaining their vivid quality. 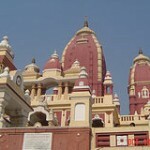 Ram Raja Temple: With its soaring spires and palatial architecture, this temple is surely one of the most unusual in India. 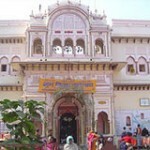 It is also the only place in the country where Rama worshipped as a King. Phool Bagh: Laid out as a formal garden, this complex testifies to the refined aesthetic qualities of the Bundelas. A central row of fountains culminates in an eight-pillared palace-pavilion. A subterranean structure below was the cool summer retreat of the Orchha kings. An ingenious system of water ventilation connects the underground palace with Chandan Katora, a bowl-like structure from whose fountains droplets of water filtered through to the roof, simulating rainfall. 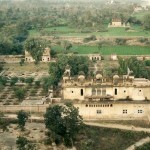 Sunder Mahal: This small palace, almost in ruins today is still a place of pilgrimage for Muslims. Dhurjban, son of Jhujhar, embraced Islam when he wed a Muslim girl at Delhi. He spent the latter part of his life in prayer and meditation and came to be revered as a saint. Chhatris (Cenotaphs): There are 14 Chhatris or memorials to the rulers of Orchha, grouped along the Kanchan Ghat of the river Betwa. Sahid Smarak: Commemorates the great freedom fighter Chandrashekhar Azad who lived and worked; in hiding in Orchha during 1926 and 1927. Other places worth seeing are the shrines of Siddha Baba Ka Sthan, Jugal Kishore, Janki Mandir and the Hanuman Mandir at Ohharedwara. 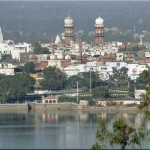 This entry was posted in Historical places, Madhya Pradesh, Orchha and tagged Chaturbhuj Temple, Chhatris, haveli, Jahangir Mahal, Laxminarayan Temple, orchha india, palaces, Phool Bagh, Rai Praveen Mahal, Raj Mahal, Ram Raja Temple, Sahid Smarak, Sunder Mahal. Bookmark the permalink.